Yellowstone provides endless opportunities for exploration; it could take you years to experience everything Yellowstone has to offer. Our Yellowstone trips our setup to allow you to see as much as you can in a single day, although we recommend spending a couple days to really experience Yellowstone. Yellowstone’s Lower Loop tour is a great way to see the park if you have one day and want to see the thermal features, scenic vistas, and wildlife of the park. 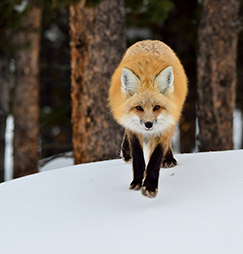 Yellowstone’s Wildlife is great for the Wildlife enthusiast with ample opportunities to for scenic stops. All of our trips can be tailored to fit the desires of a private party. 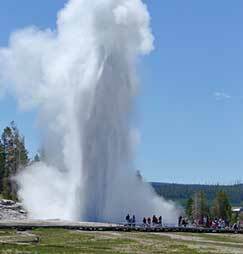 The Yellowstone Geyser tour and Photo expedition are setup specifically for private parties wanting to tailor their experience. Spending the day on Yellowstone’s lower loop will give you an opportunity to experience the best of what Yellowstone has to offer. 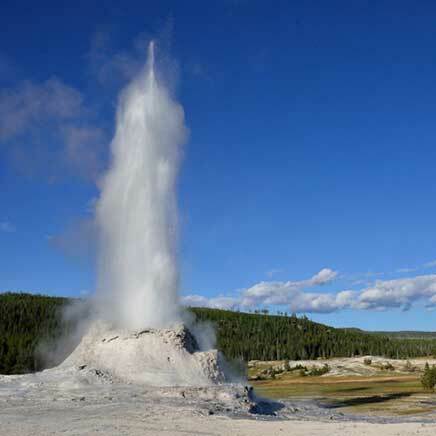 A long the way stop and see the famous Old Faithful Geyser as it erupts 150 feet into the air. Walk along the Grand Canyon of Yellowstone and view the Lower Falls as water plunges 300 feet into the canyon. Visit the colorful hot springs and other thermal features at one of the many geyser basins including Fountain Paint Pots, Black Sand Geyser Basin, and Wet Thumb Geyser Basin. 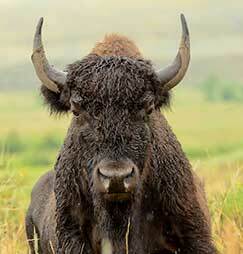 Watch for bison, elk, bears, wolves and numerous other animals in Hayden Valley and other wildlife hotspots. This is the recommended tour if you just have one day and want to see the best of Yellowstone. This photography based expedition is tailored to you weather you are a beginner wanting tips or an advanced photographer trying to build your portfolio. Please contact us directly for more info to see how we can help you.